Information on joining Ealing Swimming Club, including stroke improvement classes. 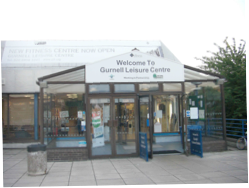 ESC Dolphins at Gurnell Leisure Centre from non swimmer level. Minimum age 4yrs, although children may be put on a waiting list under that age. ESC Horsenden. Minimum age 4 and children must be tall enough to stand in the pool. Lessons start from non swimmer level. ESC Acton at Acton Pools and ESC Astra at Janet Adegoke Pool, Shepherds Bush. Minimum age 4 and children must be tall enough to stand in the pool. Lessons start from beginner level, we do not take non-swimmers. Swimming Development and Training is provided by all ESC’s houses. By agreement with the local pool management, there is a minimum entry standard for ESC Chiswick and ESC St Helens, where children must be able to swim 25m to join.